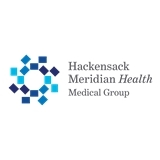 HMH Medical Group Cardiology, Tinton Falls (Tinton Falls) - Book Appointment Online! Very professional, I felt very comfortable as a first time patient. I highly recommend this young man. Thank you ? ?